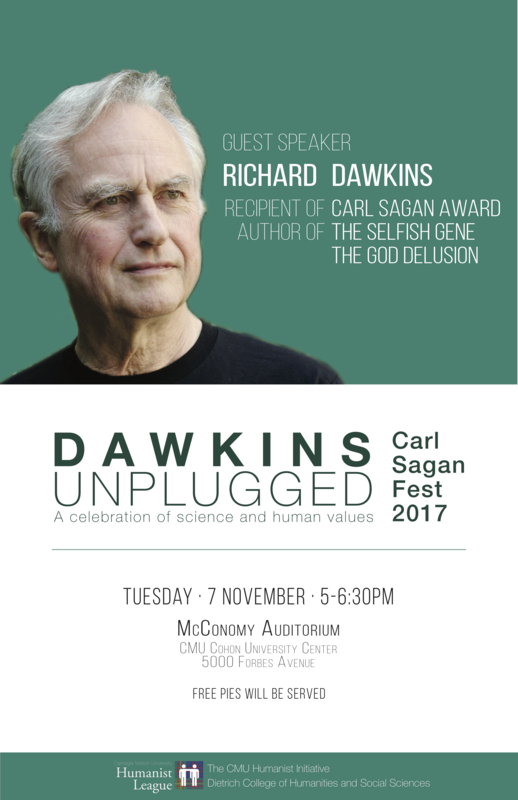 Join us on Tuesday November 7th for Carl Sagan Fest, our annual celebration of science and human values! This year, the internationally renowned biologist and public intellectual Richard Dawkins will receive the CMU Humanism Initiative’s Carl Sagan Award. The CMU community will have a chance to hear from one of the most influential thinkers of our time while we celebrate the spirit of inquiry that animated the late Professor Sagan. Previous: Affirmative Action Next: Dawkins Post-Event Discussion!